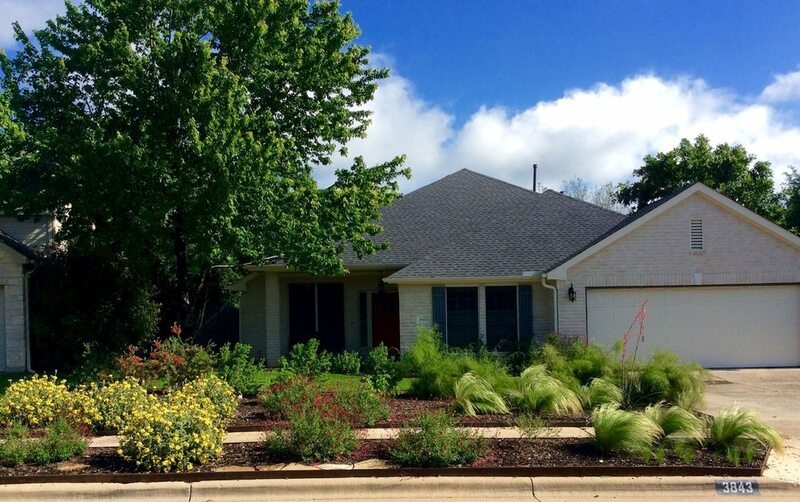 At Austin Native Landscaping, we use only the best masonry and carpentry materials to bring you value for your money. Read more details about the materials and plants we use to bring the best landscaping results to your property. Plants we use and recommend to our clients. See our full plant library here. Pomegranates are one of our favorite trees! Texas Lantana is considered a pesky weed by some folks; it's a true testimony to the plant's nearly indestructible traits. Stunning in size, colors, and performance, Oklahoma sandstone is one of our favorite materials to work with. Available in the monumentally huge “Select” slabs, this stone never fails to impress. Ideal for patios and retaining walls and available in a wide range of colors from greys to tans to blues to blacks, OK sandstone can be matched with stunning results to the design pallet of almost any home. When you want a natural look with dramatic effect look no further. Centuries old European style made right here in Central Texas. A block paver walkway or patio is a picturesque and thrifty way to improve accessibility and utility of your property. Quick and inexpensive to install, cheap and easy to maintain, durable and available in a wide variety of colors, Pavestone products are a great choice for any paving project. Sheer, Chic, Industrial and Gorgeous. With clean lines and unbeatable durability, retaining walls and planter beds assembled from Corten Steel are an essential for any modern home in Austin. Shipped to your home from the foundry, and assembled by our team of artists and welders, a corten installation can put your front lawn on the cutting edge of landscape design. As the metal ages it forms the distinctive patina of surface rust that protects the steel from further deterioration. Highly recommended for any customer who values industrial quality and modern design. Tired of the suburban sprawl? Let our imagination run wild! From mosaics to murals, sculpture to scorching. Turn our team of artists and designers loose and help Keep Austin Weird! Our design teams work in close collaboration with our clients to plan for each installation, to make sure we turn your property into a source of inspiration and wonder as well as comfort and convenience. Austin has a reputation to maintain, let’s do our part! Revitalize your old porch or walkway with an acid stain. Beautiful results, unique natural patterns. With vibrant green and blue, glossy black and brown, or deep red and yellow, your guests won’t believe its plain old concrete. The acid reacts differently with every patio giving your concrete a unique and unforgettable new life. After stain we like to add a few coats of glossy sealant to really make your new surface shine. A landscaping work horse. Inexpensive, reliable, sturdy, capable of looking modern or rustic in all settings. These two by two foot concrete pavers, can make the most uneven or muddy yard accessible again all year round. Add a turquoise or red acid stain to really make them pop! A hybrid of recycled wood fibers and polymers, Composite lumber represents the latest in technology and innovation. No need to paint or stain. No risk of infestation, warping, or rot. Manufacturer guaranteed to resist the worst the summer sun can do. Ideal for the customer who wants to spare no expense to invest in a maintenance-free deck, pergola, or fence.